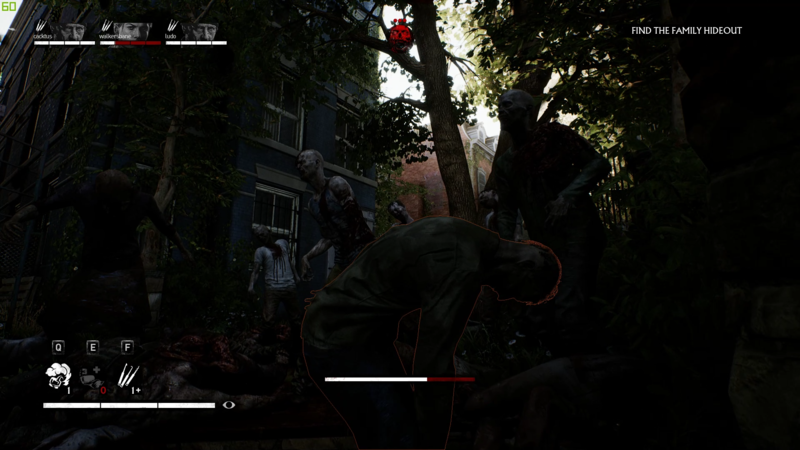 The newest video game set in The Walking Dead universe was developed by Overkill and published by Starbreeze Studios. 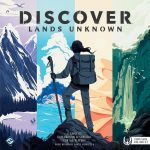 The game was released on Steam for PC on 6th November 2018, and the Xbox One and PS4 versions will release February 2019. The Walking Dead is a franchise beloved by many fans the world over, from comic books to TV shows and, finally, to video games. It seems like the general public is enthralled with the shambling corpses in whatever form they take. But, I’m afraid that is not true for this title. I really wanted to enjoy this world that Overkill had created. It has all the ingredients for a truly great game, but it has fallen short of its intended vision. 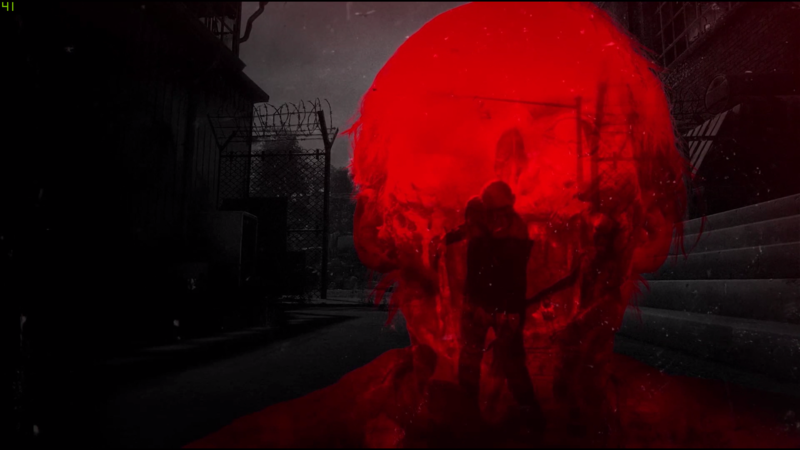 I, like many Walking Dead fans, have been waiting at the edge of my seat for this game to be released, and I am very sad to say that instead of making me fall off my seat in excitement, it had me slouching back in disappointment. I was ready to dive into a post-apocalyptic Washington, D.C., with all the trimmings of deserted cities, rundown alleyways and scars from battles fought and lost across the district. Running through the world would have been a thing of joy, interacting with your surroundings and gleaning information as to what happened with clues from cars abandoned on streets to windows bordered up with messages scribbled across them. Sadly, you cannot interact with the world; you don’t have free rein like you would if you were a survivor, there are limitations in place that only allow you a certain degree of access to the surrounding environment. It almost feels like you are a VIP not invited to join the VIP area of a party. So yes, you can approach different areas in many ways, depending on whom you’re playing with. But ultimately, all the roads lead to the same destinations with no ifs, ands or buts. The main flaw in this game is if you aren’t playing with other people you know/trust, then things can get from bad to very, very bad in the blink of an eye. The game itself feels like a barebones model with little hints of ideas they wanted to go for, which also brings me onto my next point. If you’re trying to coordinate with your team (if you ever manage to find one, that is) and want to try to talk to them in-game (there’s an issue with this feature as well, which I will go over later), you’ll always get that one person who wants to run and gun, leaving the rest of you to fend for yourselves. In this game, that’s a death sentence. It’s happened to me so many times, and as a result of making too much noise within the game, a noise metre will fill that causes more zombies to spawn and come crawling out of the woodwork. This is a pretty nice idea, forcing players to cooperatively work together to complete objectives. But, if this metre were to fill up, it won’t go back down. EVER. The zombies keep coming, and if you throw human NPCs into the mix, they just fire wildly at the zombies, thus causing more noise, and the cycle will repeat. This makes it nigh impossible to go anywhere without 60 zombies tailing you. In all the trailers released pre-launch, they hinted that you should fear the dead but also that the ones left alive are the real threats. If that’s the case, then I’m sorry to say that the human enemies you come across don’t feel threatening at all. They’re more like generic enemies tacked into situations to give you, the player, a sense of panic and desperation. Yes, they do grow in numbers, which is in stark contrast to the whole “humans are limited due to the dead taking over the world” premise that The Walking Dead is known for. But they don’t really add any sense of fear/panic to any situation, and the A.I. controlling them feels clunky and lifeless. Go to this barrier, turn around. Stand there for a good minute. Rinse and repeat for another bit of cover, all the while leaving every portion of their bodies open to gunfire. As for your NPC allies, the main thing I feared was them continuing to make noise and draw in more zombies, which would not allow me a chance to go and wander off on my own to find ‘real’ humans who might pose more of a threat. 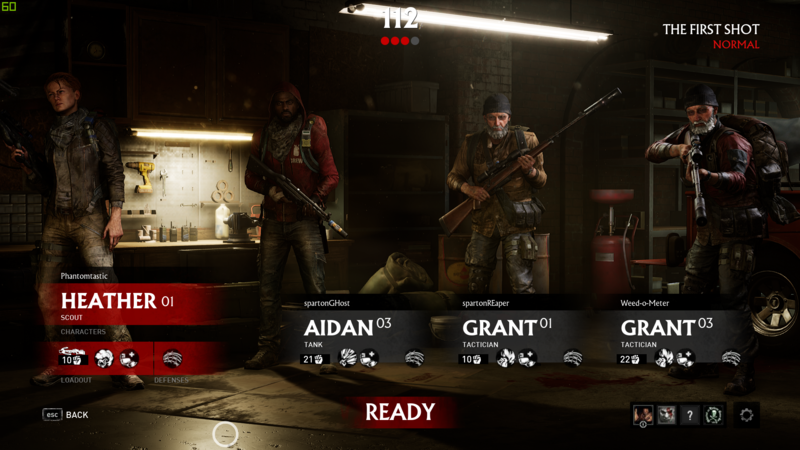 Many have likened this game to be a more mature version of the Left 4 Dead franchise, replacing the running zombies with the shambling walkers we’re used to seeing. But, unlike Left 4 Dead, this title doesn’t have the basics required for a multiplayer title to properly function. Teamwork is the name of the game here, and to not have a built-in chat function is a pretty big oversight. 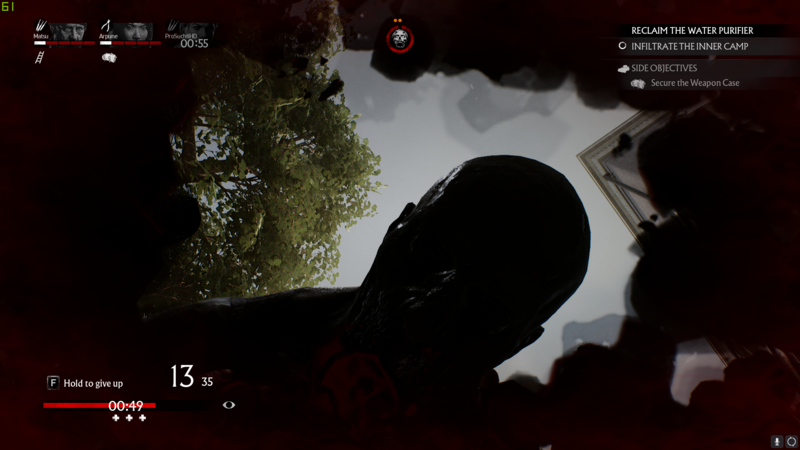 Yes, you can use overlays that can get around this, but if you’re on your own in a game of random players, then the only way to communicate is to stop, press the “Enter’ key and type as fast as you can, all the while hoping you don’t get turned into zombie fodder. Frustrating is the best term I’d use to describe this game. A lot of thought and planning has gone into this game, it’s plain to see. 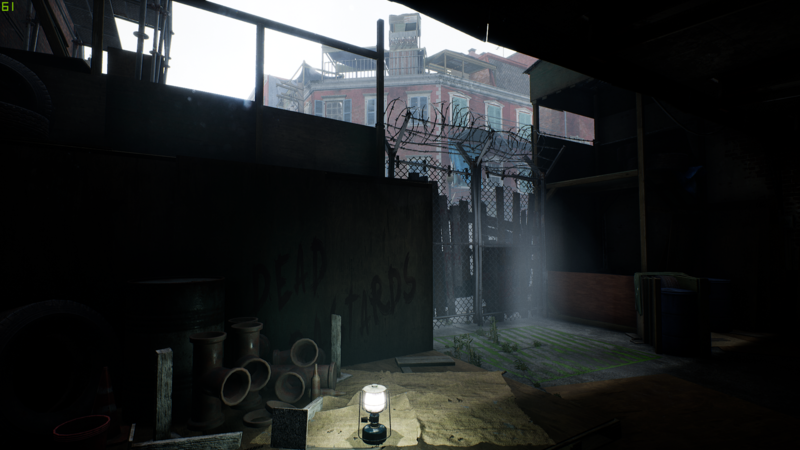 The environments are detailed and have a real sense of drama, from blown out windows to traps being left by other people in hastily built safe zones. The base management system where you scavenge for supplies to keep your survivors safe and well fed. The crafting system through which you can have limitless options to customise weapons that are not class-bound and have endless loadout options. 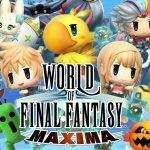 Class-based characters to help players play as a team and complement each other with different strengths and weaknesses, to name a few. But, these features collectively come together and bring none of the strengths of any aforementioned idea. Instead, they are executed in such a fashion that they don’t work as intended. Base scavenging side-missions are just an afterthought; everyone chooses the same characters and weapon loadouts, making class choices irrelevant as you don’t often need the perks to overcome most situations you find yourself in. I’ve found that players tend to go for the loudest and most powerful weapons they can as the noise metre will be filled regardless of whether you play tactically or not. Cutscenes, while lovingly crafted/scripted and written, cannot be skipped, so when you’re playing an old mission to gather supplies to unlock another perk on your base-building management system, you’ll have to re-watch the accompanying cutscenes again, which makes and it is ever-so tedious to have to sit through the same cutscene for the 20th time. It just feels like the game is half done, rushed out to the consumer when more time was clearly needed, which is why I’m disappointed by it. I was truly getting myself geared up for a survival zombie-slaying experience that would let me feel the weight of my actions having lasting consequences in The Walking Dead universe. Instead, I’ve been met with a game that, while good on paper, has been less than properly executed. Given more time, and I hope that more content comes soon to help really improve on the game’s flaws, this could be turned around. Fix the lagging issues and connectivity errors. Whilst most new games have their fair share of problems, not being able to join other players because of loss of connection to the servers should not be one of them. But, as it stands now, I think I’ll be shuffling away to my other survival titles on my Steam account library. 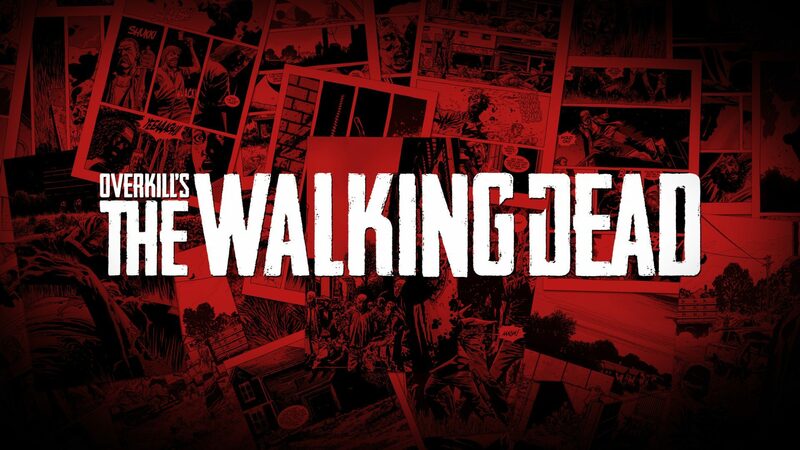 Whilst Overkill's The Walking Dead has some great ideas it has tried to deliver on, the various issues raised all come together to create an experience that will leave you with a sense of frustration that yet another game set in The Walking Dead universe has fallen short of the mark. With time, I hope the developers can take into account the issues raised and work on them. If that can be done, then this title will have a future. But, as it stands now, I fear it will fade into obscurity, just like AMC's The Walking Dead: Survival Instinct video game.